The sun was trying to break out and the wind was definitely blowing onshore upon the stunning grounds of Knockburn Sporting Loch as the Open Day got under way. We were delighted to provide a Beat the Clock Challenge of exciting team based activities for participants young and young at heart and aren’t you guys and girls competitive! The event was organised by Knockburn Loch to show what a truly great venue it is for sporting and entertainment events and there was lots of water based activities out on the wonderful purpose built loch from sailing and canoeing to paddle boarding and even open water swimming (yes...intentional !) to keep the supporters and spectators entertained throughout the day. We also had our ever popular Labyrinth set up as well, which was a challenge too far for some teams, our very own Clock Tower always a tough challenge for any team and addictive speed reaction game Batak board where we got involved in some hugely competitive family challenges throughout the day - just look at those photographs! The clients guests and supporters enjoyed taking part in both new and familiar activities safely supervised by the excellent onsite team as the music blasted out across the grounds and flags from around the world welcomed an international audience. As a full day of sporting challenges and entertainment got underway our audience got fully stuck in and yes some even to be honest fell in! Shouts cheers smiles aplenty it was not just fantastic fun but a great learning experience for many and we know this could be the start of a new lease of water sports life for some. With a delicious menu available in the Knockburn Cafe and a fair few swigs of hot tea and coffee in between to keep all the participants going strong the afternoon flew by in the sun...well it was there somewhere in the sky for most of the day! The afternoon drew to a close late in the afternoon and all our guests made their way home with aching muscles to a well deserved dinner and early bed. 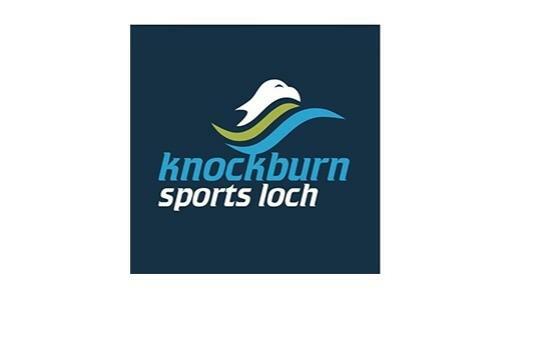 A huge thank you to Tom and his team at Knockburn Sporting Loch for all their hard work in putting the most excellent inspirational Open Day together. We very much look forward to joining you all again soon - we may even be persuaded to jump in the loch ourselves – wet suits at the ready! What a great day at Knockburn Sporting Loch, with so much for everyone to do. Great effort from everyone - especially on our BATAK reaction wall which had crowds gathering to see who could get the best score in their 60 second challenge! Our team had a fantastic time and it was great to meet everyone on the day. Hope to see you all again soon!